'we start the publication defining what is for us a galgos: every person who breeding-keeps-Uses Greyhounds for hunting. From here we ask several questions to the lords galgueros why, especially in these dates, are the kennels and protectors full of abandoned greyhounds? And when we say abandoned, we also refer to those greyhounds that are left by their owners in these facilities, because getting rid of an animal, even if you don't leave it in the middle of the field. How many of you take care of all the greyhounds that go through your life until they are old and die for natural causes or diseases of age? Do you really have all the dogs that are not good to hunt in your homes until they die? What do you do with the greyhounds that break a leg? Do you operate and stay with you until the end of your days even if you can't run anymore? The majority of "take care" of the animals that bring you or can bring you some benefit, but you get away from those of whom you can no longer take any advantage why you want to deny the obvious? Scooby is arriving dozens of greyhounds, some collected from the street, others brought by their owners, others taken from the kennels, but all of them abandoned because they are no longer useful for their owners. The Greyhounds in Spain remain in their vast majority animals to use and throw and as long as they do not change the laws, unfortunately, this will continue to be. Bev farmer is known for her tireless work with rescued podencos. But occasionally a galgo crosses her path. Here's her story of 5. 'On 9th January we took in 5 male galgos. They are a voluntary hand over from their Galguero, not living in the best of conditions but in fairness all 5 dogs are in a reasonable state. A lot of superficial cuts and bite marks, just one that had a serious laceration that needed attention. Thanks to Friends of Mazarron Animals who are working with local Galgueros. Due to an outbreak of myxomatosis in hares in a number of regions in Spain, hunting has been suspended in some areas, the galgueros no longer want the dogs and are agreeing to hand them over to rescues. Galgo rescued with a broken leg. As you can see, the beginning of the year is not good and in just 10 days we have already picked up two dogs that need surgery. Finally! Our Solidarity Calendar is now on sale. We know it's a little late and that's why we put it at a price of only 5€,uros so that you all encourage yourself to buy it and help the more than 700 animals living in our shelter and sanctuary. It's a beautiful calendar, a perfect gift to make on these dates to your family and friends and of course to make yourself! For now you can find it in our shelters in Medina Del Campo, in the residence of Valladolid and in the shelters of Palencia and Zamora, as well as in our veterinary clinic located in the ctra. Rueda, 47 of valladolid and in salamanca will also be available in a few days. We will be expanding and reporting on more points of sale. (It's not in the shop yet, only the 2016 one!) Contact Scooby via the blog if you want to order one. 'We saw her several times a day, running along the road, crossing field through...until we discovered where she slept and finally, when the night fell, we were able to rescue her. Another galguito more safe, another wonderful being that will have the opportunity to have a home and a real family. It's a terrible time for hunting dogs in Spain as the hunting season will end this month and dogs are being abandoned and killed in their hundreds. This is the appeal from a couple of days ago from Bev Grubba. 'FRIENDS, THESE ARE THE 4 GALGOS I'VE JUST TAKEN FROM BEING KILLED! THIS DOG LITERALLY HAD A NOOSE ROUND HER NECK TO BE HUNG! 2nd DOG IS ONLY 6 MONTHS OLD! BIG CRISI,S SO MANY BEING KILLED. SO NOW AGAIN BEGGING TO EVERY DOGLOVER , FRIENDS TO DONATE FOR RESIDENCE, VETS FEES, NEUTERS. SPONSORS WELCOME! 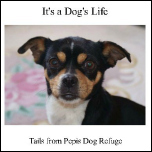 Bev Grubba is based in the UK but works with a couple of rescues in southern Spain. Last week they worked on the rescue of 16 galgos in a terrible state which Galgos del Sol have taken...involving a 6 hour journey from Rota to Murcia. Now Bev and the rescuers are appealing for help again. Here's the story. 'We managed to get help from Galgos del Sol for the 16 galgos and they are all safe with a future. But on the 9th Jan there are another 16 needing help from the same area. A friend is taking 2, another friend taking 4 and hopefully another 2 to another friend. So places needed for 8. We have a place in the UK for another 4 but unfortunately we don't have the funds to prepare them. We will take 2 and raise the money for those but if we can get help for the other two we have a place for them. We have free foster until they are ready to travel so need to raise funds for vaccs, chip, passport and blood test and spaying or castrating for all of them, which will run into 4 figures. Some of the 16 galgos previously rescued were ill or injured. We would like to have started the year with some more pleasant news, but unfortunately we have to start it with another hard rescue, that of this greyhound that has found our colleague nuria lying in a ditch. The poor dog had been run over and despite the pain he must be in, he allows himself be manipulated to make a diagnosis without complaining and without making a bad gesture. We will let you know how he goes on but as you see there is not a month when Scooby does not reach out to animals that need some kind of special treatment or surgery, that is why your help and collaboration is so important. So that you can give these angels the ability to continue living and having a family to take care of them and want as they deserve. A situation has arisen where a Galguero is getting rid of his Galgos. Bev Grubba has arranged that 16 of them are going to Galgos del Sol in Murcia. It’s a 6 hour drive so 16 of them will be safe...not turned out on the street as the Galguero threatened!! That’s 16 arriving that need to be blood tested, vaccinated, sterilised etc and reports of some with broken legs. Galgos del Sol have no news on their health but just to prepare the basics will run into thousands. Can you make a paypal donation to finish off the year and help us? Bev Grubba arranged the transport from Rota (Cadiz) to the shelter in Murcia. To donate to the transport, paypal bevgrubba@hotmail.com marking it galgos. They are in adoption both and deserve a great family that wants them, will it be yours?